HUAWEI Honor View 20 goes official, World's first smartphone with 48MP rear camera. 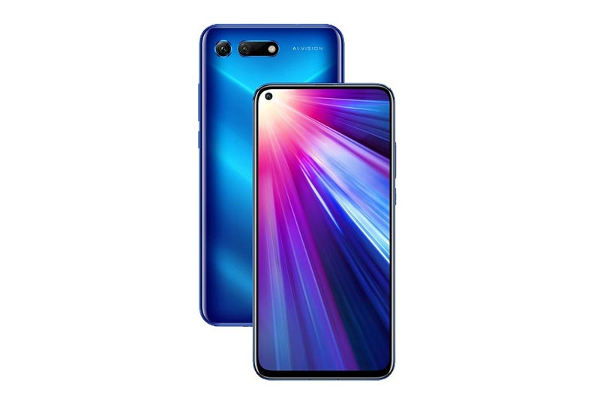 HUAWEI today in Paris revealed its latest flagship smartphone - HONOR View20 - which brings notable features, including 48MP rear camera with AI Ultra Clarity and 3D TOF camera, All-View display, and high performance chipset. The Honor View 20's 6.4-inch All-View Display provides a notch-less viewing experience and a stunning 91.8% screen-to-body ratio. HONOR View20 also comes with an advanced 3D rear camera, which can scan and recognize real world objects. The AI and 3D modelling algorithm enables a series of useful and interesting applications, from making your body slimmer in photos and videos, to playing motion sensing games and calculating calories in food. This camera can turn HONOR View20 into a motion-controlled gaming console, allowing you to play 3D motion games like never before. Now, it supports Fancy Skiing and Fancy Darts. HONOR View20 is the first model to be equipped with advanced 7nm Kirin 980 AI chipset with dual NPU to overseas market; GPU Turbo 2.0, which greatly improves graphic performance; and a 4,000 mAh battery with SuperCharge. It's available in two configurations: 6GB RAM+128GB ROM and 8GB RAM+256GB ROM. It operates on HUAWEI's Magic UI 2.0 based on Android Pie. The Kirin 980 chipset represents a 75% improvement of speed in single core performance compared to the previous generation. The Kirin 980 also includes Mali-G76 GPU to improve performance by 46%. HONOR View20's performance has significantly increased, while reducing its energy consumption by 58%, providing a revolutionary advancement in user experience. With the high demand for power that comes with HONOR View20, HONOR engineers developed an innovative The NINE Liquid Cooling Technology which is a highly efficient liquid cooling system that can more effectively dissipate heat for performance. The innovative "S-shaped heat pipe" cools a wide area of heat to guarantee sustained peak gaming performance. The new smartphone is equipped with the world's first high-definition 48MP rear camera. The elite 48MP camera is powered by artificial intelligence (AI) and takes amazing pictures. The new 48MP AI Ultra Clarity mode can combine multiple 48MP images into a single 48MP photo, producing a Super 48MP Photo with superb clarity. HONOR View20's rear camera is the first to be powered by the SONY IMX586 48MP sensor, with a 1/2-inch large CMOS, and equivalent 1.6μm pixels in Quad Bayer array. The Honor View 20 is equipped with a front-facing 25MP camera integrated into the display. HONOR View20 has adopted a special technique enabling light to go through and reach the front-facing camera seamlessly. HONOR engineers use advanced holder with buffer design to precisely place the front camera under an ultra-small 4.5mm transparent hole on the screen. A proprietary display bonding material is used to prevent light emitted by the display from entering the camera, enabling the best photos possible from a smartphone. The Honor View 20 is priced at €569 (~$646/~₹46,000) for the base variant with 6GB RAM+128GB ROM, €649 (~$737/~₹52,500) for the high-end variant with 8GB RAM+256GB ROM. The base variant is available in Midnight Black and Sapphire Blue while the high-end variant is available in Phantom Blue and Phantom Red.